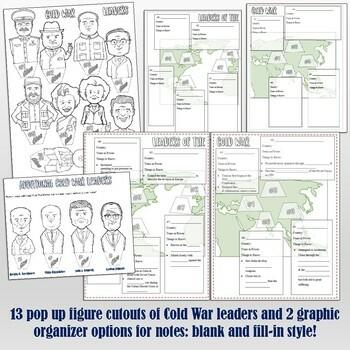 This great activity on Cold War leaders has your students creating Pop Up figures in their notebooks to better understand important figures of the Cold War era. The resource includes an engaging PowerPoint presentation (& Google Slides version), 2 graphic organizer options, lesson plan, and the pop-up figure cut-outs. Additionally, there are 4 "bonus" pop-up figures for: Dwight D. Eisenhower, Nikita Khrushchev, John F. Kennedy, & Lyndon Johnson. There are 2 graphic organizer options, both featuring a world map to help students connect each leader with where they were from. One includes fill-in-the-blank guided notes and the other includes just boxes for the notes. Both are perfectly aligned with the PowerPoint. 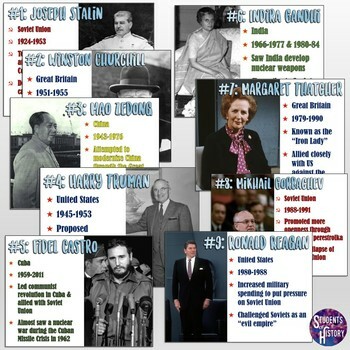 The cut-outs are a great way to help students keep focused as your discuss the contributions of each Cold War leader. I have found this hands-on strategy to be an incredible tool to help students remain engaged throughout the lesson! 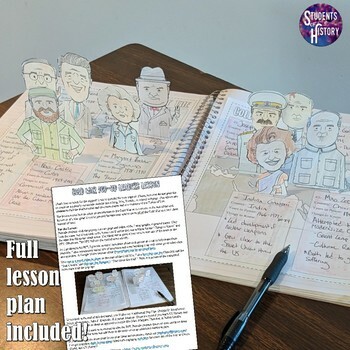 The lesson plan gives suggested videos to pair with the activity along with tips on how to best use the activity in your Cold War unit. 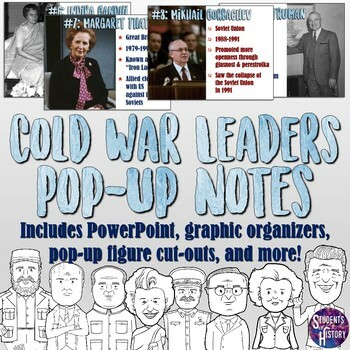 You can also download this lesson as part of my Cold War Unit Bundle. More Pop Up Figure Notes resources can be found here!